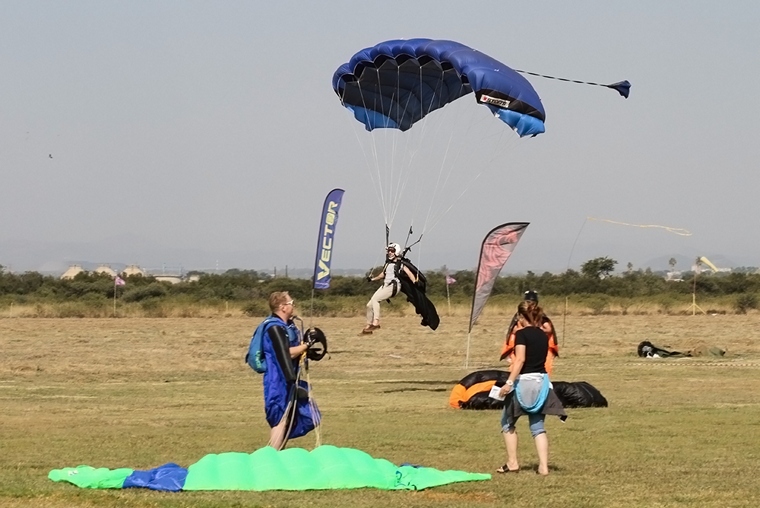 Skydive Rustenburg hosted the 2017 SA Skydiving National Championship from the 26 April to the 1 May at Rustenburg Airfield just outside the Northwest mining town. 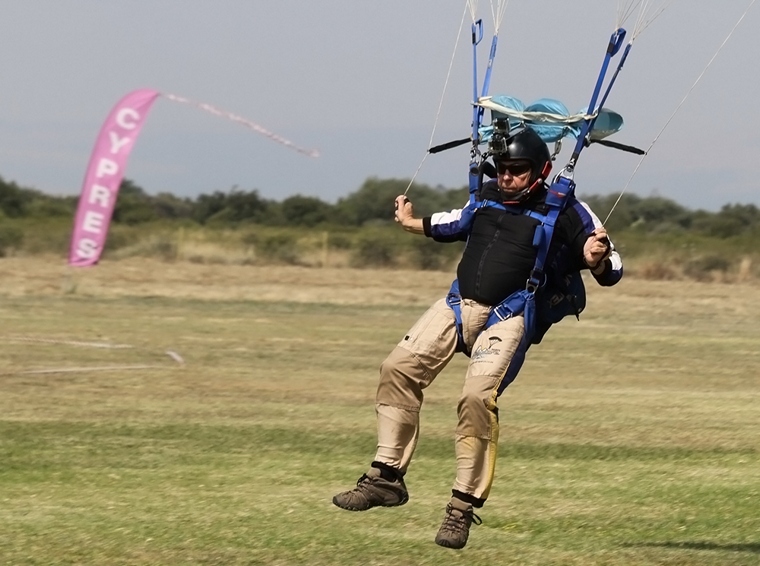 The Public holidays on the 27 and the first really helped to bolster the number of entrants, this year the competition attracted over fifty skydivers in the various disciplines. 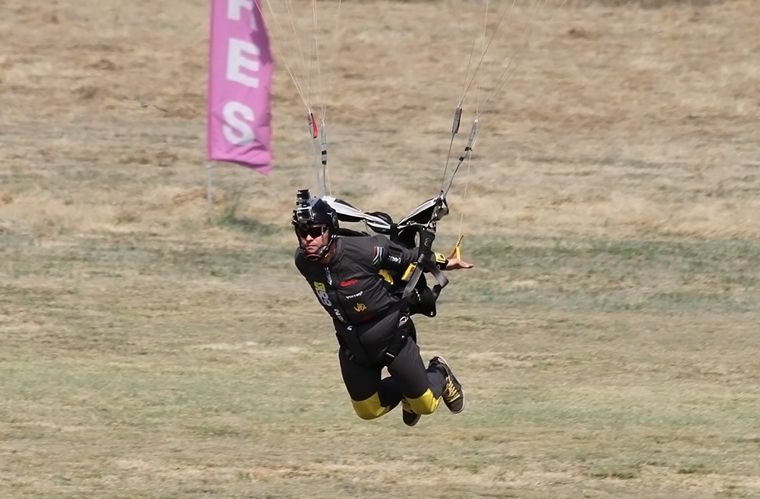 At this year's nationals four discipline categories were contested namely Artistic Events, Classic accuracy, Formation skydiving 2 and 4 way and Wingsuit flying. 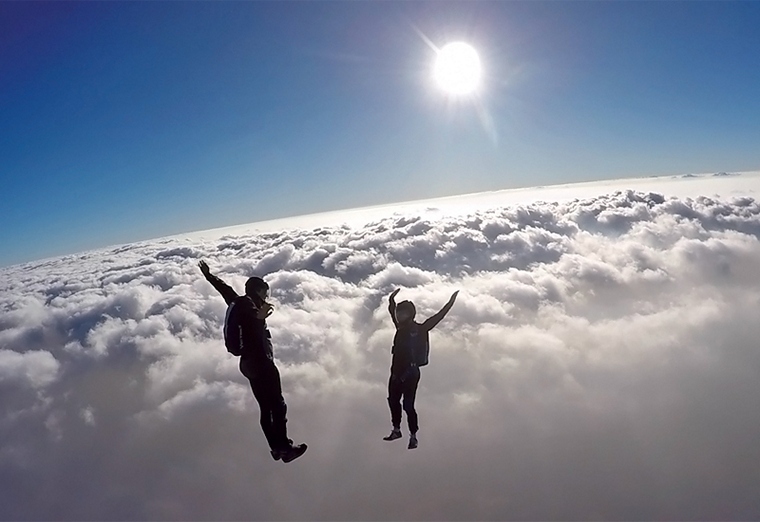 Artistic Events consist of a series of compulsory and free routines performed during seven skydive. Teams consist of one or two performers and a camera flyer. 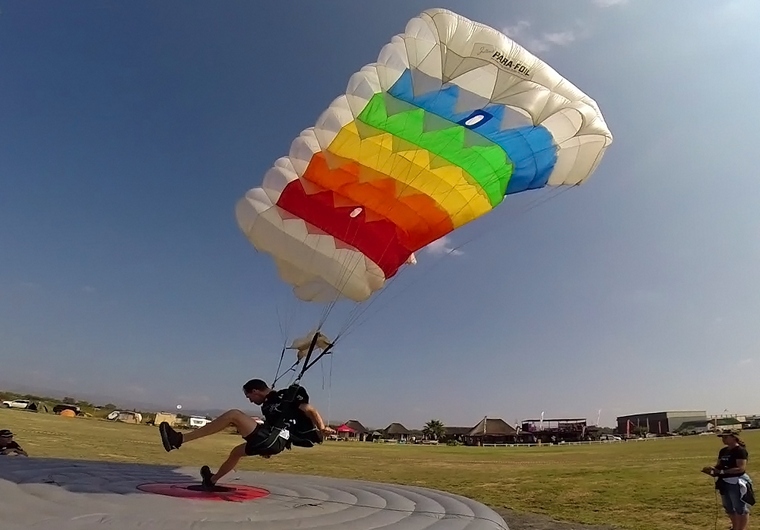 The freefall images of the camera flyer are used for judging the performances, so having a skilled skydiver as a camera flyer is an essential part of the team. Both events show a wide variety of skills, using axes in all three dimensions. Judging criteria are separated in technical and presentation items. 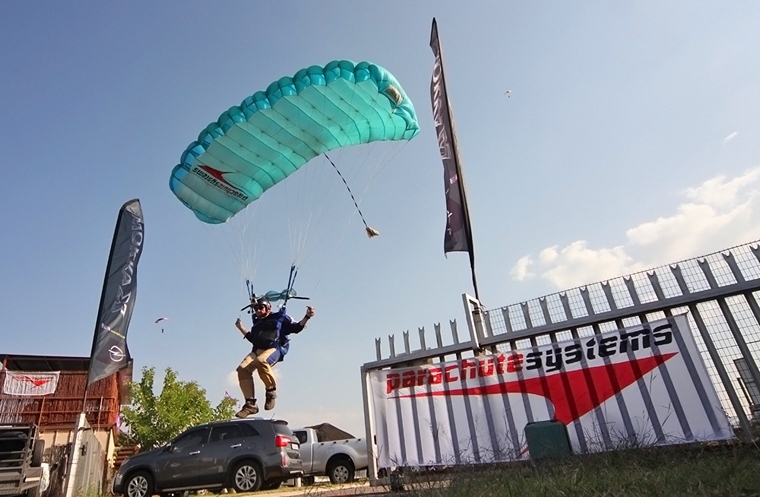 "Datsun Bakkie" walked away with the top hours in the open free fly with "Venter Trailer" taking the top spot in the open freestyle competition (have to love the skydive humour), the intermediate freefly was won by "Three Flies". 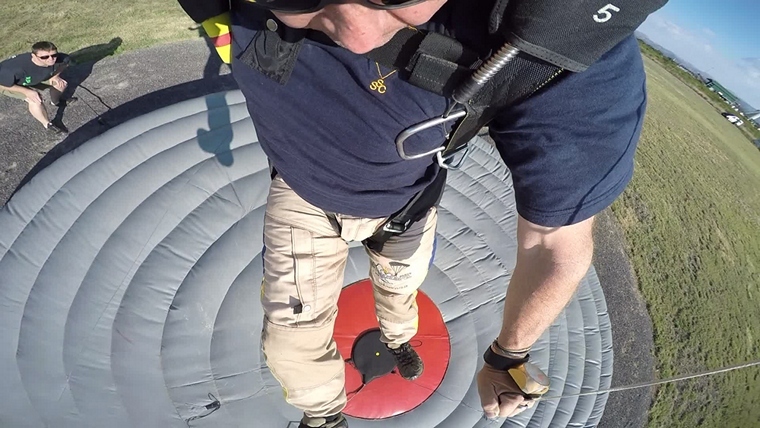 Classic Accuracy is a test of the skydivers canopy control, the idea is to pin point land on in the centre of a large air-filled landing pad with a 16cm electronic pad with a 2cm yellow dot in the centre on a black background . A dead centre landing on the dot will give the participant a score of 2 and as the move further away the score will drop to a maximum of 16 the lowest overall score after ten jumps wins. 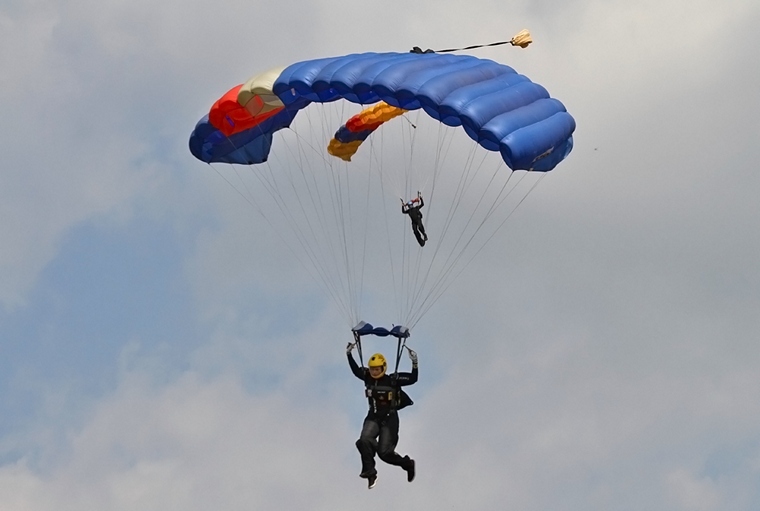 Competitors jump in teams, exiting the aircraft at approximately 3000ft AGL and opening their parachutes sequentially to allow each competitor a clear approach to the target. The overall winner with a score of 111 was Paul Marcellin followed closely by Graham Field with a total of 138, Chris Grosch clinched third spot with 143. A competition team consists of 2 or 4 performers, and one camera flyer. A competition consists of 6 rounds, and each round consists of up to 6 formations. 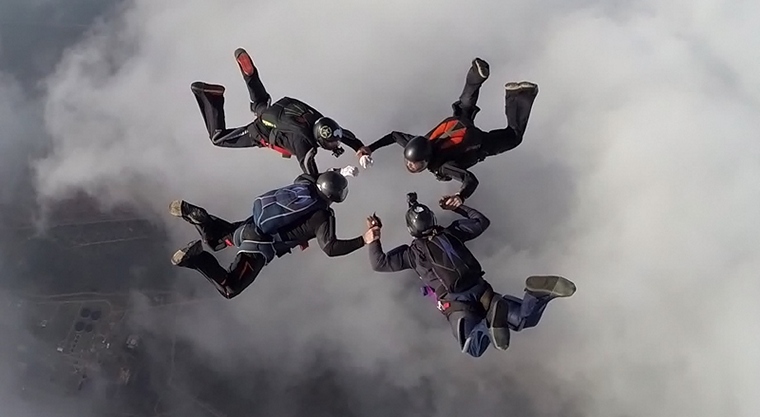 The teams have a certain number of seconds to continually and correctly repeat the sequence of formations in freefall. Each correctly completed formation scores one point. The formations are drawn from an international pool of random and block formations. The random formations are singular formations with full separation of all grips between the performers both before and after building the formation. The blocks are double formations with a designated movement in between. The judging is based on the camera flyer's material, and is done objectively. Only the technical performance counts. The winning team will be the team that has collected the most points, by completing the most correct formations within time after the final round is complete. "Pinky & The Brain" Managed top honours in the 2 way open competition with a total of 166,second spot belonged to "Next Session" only 7 points behind with 159. "Fatties and Moanies" came in third with "olovas" biting at their heels. The 4 way open competition was comfortably won by "Savolo" with a well-deserved 165, "Excession" followed them 31 points adrift with 134. Third place was claimed by "Celerity" at 111 points followed by "PsyKix" with 91. The 4 way novice competition only had two entrants, "Vet Mossie" manged to keep "Alternative Facts" at bay with 12 and 6 respectively. 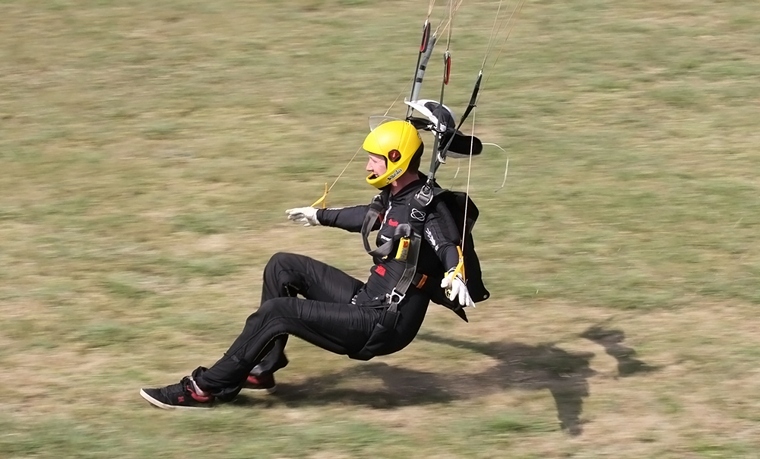 For the speed task, the highest average horizontal speed over ground achieved while in the evaluation window counts; the further you fly in the shortest time while in the competition window, the better. Speeds of well over 300kmph were achieved by some of the contestants. Pierre Marais Bandenhorst took overall top spot with a brilliant score of 279.6, followed very closely by Oliver Nothen less than a point behind with 278.8, Andrew de Longe was right behind them with a score of 275.5, Rudi Serfontien and Gert-Louis Cillers took fourth and Fifth respectively. 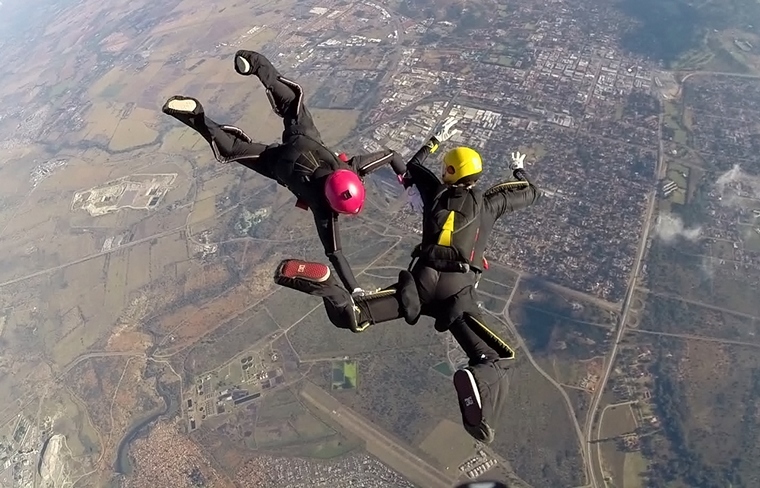 Skydive Rustenburg supplied two Atlas Angels as jump ships and the competition was progressing well until one of them had a windscreen blowout during the decent on the first load on Saturday morning, fortunately the pilot managed to land safely. 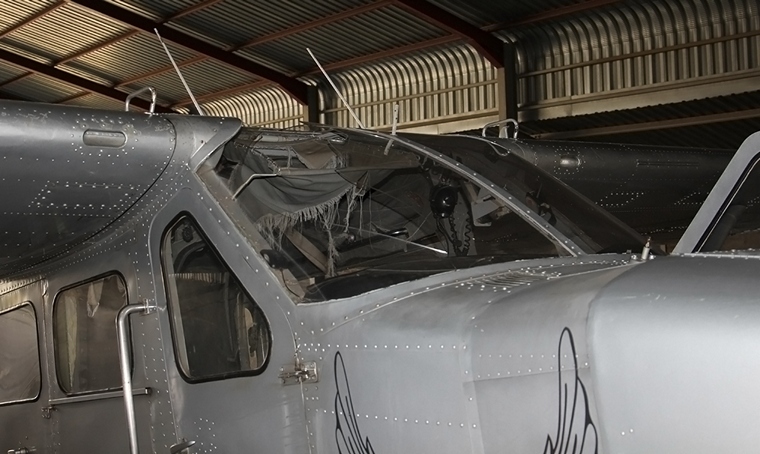 This put the brakes on proceedings temporally but by late Saturday afternoon the Angel from Klerksdorp was flown across to Rustenburg and this got back up to speed. Events like this would not be possible without the support of sponsors, a very warm word of thanks must go to Parachute Systems, Chevrolet, Dragon Energy drinks, Vector and Cypres for their loyal support of this event.